Where Are The Rio Olympic Game Venues? 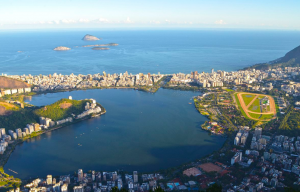 >> Where Are The Rio Olympic Game Venues? You know the 2016 Rio Olympic games will be held in Brazil right? The opening ceremony will be at Maracanã Stadium. You’ve already marked your calendars from August 5th until August 21st when the party officially begins. Will Rio be ready? Will it be a success like the 2014 World Cup? Probably so. The latest news out of the Marvelous City says they are on schedule after years of the news media claiming Rio was going to tank the Olympics. Did you really think it was going to move to London? Mainstream media creates drama because they know it makes people tune in. Never believe it. You know about the event, when it begins and how crazy it will be. But what about the Rio Olympic game venues? You may not know where to go see Usain Bolt break another record or watch the U.S. Basketball team win another gold medal. No worries – I got you covered. Read on for where you can catch the 2016 Olympics. Most of the Rio Olympic Game venues are located here in the West Zone. Barra da Tijuca is an American-style neighborhood. Seriously. The city of Rio de Janeiro planned Barra after American suburbs. So you get a different feel of the city compared to other places. It’s really spread out and the traffic is terrible. That’s a lot of Olympic game venues. Can you guess which sports will be held here? Three Rio Olympic game venues are in the most famous part of town. This venue was built on the beach for you guessed it – volleyball. It’s one of the most popular sports in Brazil. This is a military base that separates Copacabana and Ipanema. The triathlon and marathon swimming events will be held here. There’s a historical museum on the fort you can visit as well. People say the view is amazing. I’ve seen this lagoon plenty of times but I don’t think I’ve ever been. You can catch the canoe sprint and rowing events here in Copa/Ipanema. I love Flamengo. Too bad the water is dirty. There is a real water pollution problem. It’s not made up. 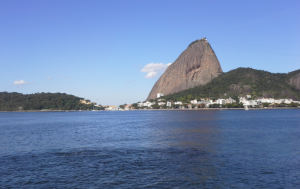 Rio made promises about cleaning up the Guanabara Bay for its water sports. 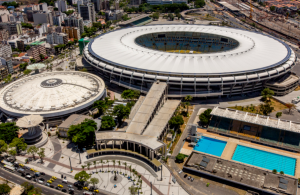 If you are a soccer fan, you are familiar with Maracanã and it’s famous football stadium. There’s no need for an introduction. Most people never heard of Deodoro. I admit, I didn’t until recently. I’ve never been before but from what I’ve heard about the venues: the Olympic events there will be epic. 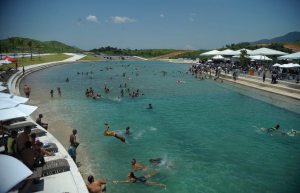 There will be a total of nine Rio Olympic Game venues in Deodoro. They will have everything from BMX to shooting to fencing. It’s a good time to visit Deodoro now. Cool, we know where the Rio Olympic Game venues are now – but how do we get there? Depends on where you are staying buddy. I have no idea where you chose to stay. Below is general information about transportation in Rio. Bus Rapid Transit – http://www.riogaleao.com/en/transport-parking/brt/. This gets you from the airport to the Olympic areas. The good people over at My Bucket List Events created an awesome and free infographic about the 2016 Rio Summer Games just for you. Check it out below, share it and save it!